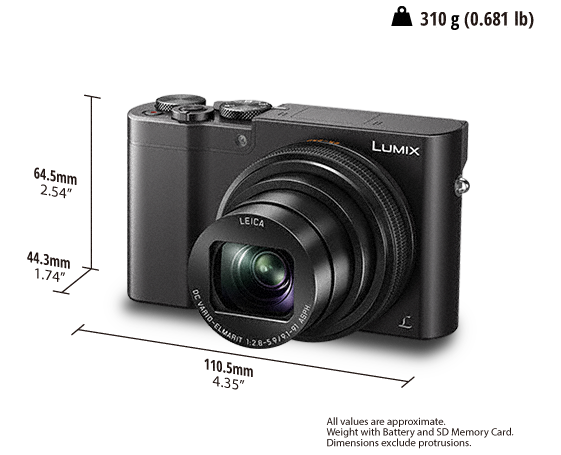 Click here to be notified by email when Panasonic LUMIX DMC-TZ100 Digital Camera - Silver becomes available. From the first LUMIX TZ camera in 2006 we’ve come a long way to the new LUMIX TZ100. During this time the TZ has been the camera of choice for wanderlusters, capturing incredible images from around the world. The new LUMIX TZ100 is the most advanced TZ yet, with a combination of innovative and intuitive features that let you capture those unforgettable travel moments. Use the map below to see photos from around the World. For a chance to have your photo featured, tag #LumixTZ on Social Media.